Olde Mohawk's Ward Hamilton has provided historic preservation consulting and contracting services for over one hundred buildings in Boston, New York and throughout the New England states, including several dozen on the National Register of Historic Places. He believes that a multi-disciplinary approach to the planning of all aspects of historic preservation projects is necessary to preserve the heritage embodied in the historic fabric of our built environment. As an active participant in the historic preservation community, Ward is appreciative of the limited resources available for the preservation and maintenance of historic buildings. 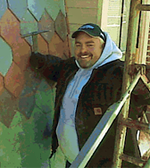 With a master's degree in historic preservation and experience as a preservation contractor, he exceeds the Secretary of the Interior's professional standards (36 CFR part 61) as an "architectural historian" qualified to perform identification, evaluation, registration, and treatment activities. Olde Mohawk provides historic preservation consulting and contracting services for clients in Boston and throughout New England and has worked on several dozen buildings listed on the National Register of Historic Places. Olde Mohawk is capable of addressing the entire exterior envelope of a building, including ornamental and structural carpentry, foundation and steel repairs, masonry cleaning, and painting. 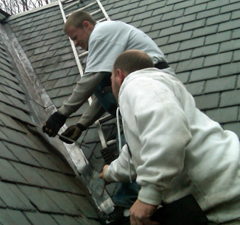 Whether it’s restoring or replacing an entire slate roof, replicating copper-lined, built-in gutters, or taking on an otherwise impossible masonry preservation project, our track record is proof positive of our many accomplishments. From developing plans for the renewed vitality of a historic structure to project specification, management and oversight, our consultation services offer an additional dimension others cannot.